Overall depth: 36"; overall width: 27.5"; overall height: 38"; seat depth: 19"; seat width: 20"
It's 20% bigger than our classic chair! 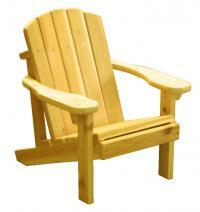 When you want a bit more room to sit back and relax, choose our Big Boy Adirondack chair. 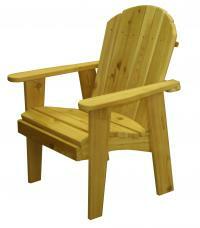 It's nearly 20% wider than our classic Adirondack for extra comfort! 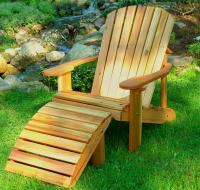 Many customers purchase four Garden Chairs�with our Garden Table! Save when you purchase the set shown here. The perfect gift item. It'll become a family heirloom! Playpal furniture is kid-tough, functional, sturdy and beautiful. 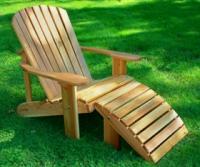 Children aged 2-9 will have fun indoors and outdoors with furniture built just for them.